Background/Info: No doubt about it, Tom Shear and his sonic brainchild Assemblage 23 belong to the most revolutionary electro-pop bands from the early 21st Century. Back in time we called the music ‘future-pop’, but throughout the years it simply became electro-pop music. “Endure” is the 9th full length in the band’s history and the first studio album in 4 years. Content: “Endure” features 10 songs that starts off with a kind of ‘intro’. The band’s trademark remains the solid melodic structures, which are constantly emerging from the songs. Most of the songs are enjoyable electro-pop songs, but without real innovation or surprise. Assemblage 23 composes well-crafted electro-pop music with moody passages and Tom’s charismatic way of singing. A few, harder cuts rapidly appear to be new potential hits. The danceable vibes are more coming through now, and the songwriting remains totally accomplished. You’ll hear beautiful and subtle arrangements. The last two songs finally lead this album to the long awaited apotheosis. + + + : The sound of Assemblage 23 is no longer a surprise. Tom Shear remains faithful to his melodic arrangements, but the global production reflects all the maturity and experience of this artist. From a pure technical point of view this album is absolutely perfect. 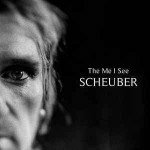 The tracklist reveals a real solid finale featuring 2 beautiful songs and elevating passages. – – – : “Endure” is a fully enjoyable opus with some excellent songs, but without new elements. No doubt about it, the fans will be pleased, but I’m not sure they’ll think of “Endure” as the ‘best’ album from Tom Shear’s discography. 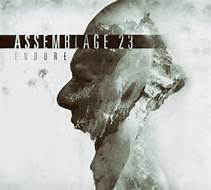 Conclusion: I expected a bit more originality in the new album of Assemblage 23, but on the other side it simply remains a fully accomplished and masterly produced work. Best songs: “Grid”, “Salt The Earth”, “December”, “Bravery”.